These 2 lovebirds are getting hitched tomorrow! 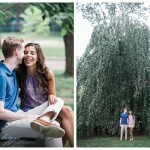 Here’s their adorable engagement session we did over the summer at the University of Rhode Island where they met. We headed over to the beach afterwards to catch the beautiful sunset. Looking forward to tomorrow Kat and Sean!